After a somewhat traumatic first birth experience, Stella had what felt like the perfect labor with baby two. She called me around 1 in the morning. Her contractions had begun at 11 that evening. They were five minutes apart and painful. 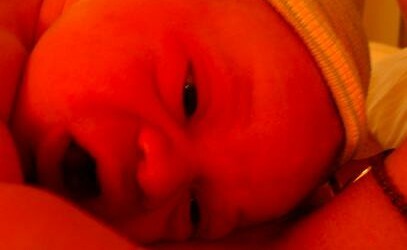 Because she ... By katewright	on Aug 12, 2013	in Birth Stories, Musings, Uncategorized	Comments: 1. My good friend, Stella, called me at 10:45pm on Friday night. “Game on!” she said with excitement in her voice. I was in Lancaster camping with some friends so my family piled in the car and headed back to Philly. Not too long after, she ... By katewright	on Mar 11, 2013	in Birth Stories, Musings, Uncategorized	Comments: 0. I’m awake. 5:30 am. Why…I crawled into bed only three hours ago. The pain in my belly feels exactly like they told me it would. This must be it. Finally… I feel incredibly calm. -Danny…Dan…Wake up. I think I’m in labor… I turn the ... By katewright	on Jan 21, 2013	in Birth Stories, Uncategorized	Comments: 2. In addition to thoughts and information regarding all things pregnancy, birth, and family, I have decided to use my blog as a space to write down birth stories for the families I work with. I won’t use the actual names of my clients, but ... By katewright	on Nov 18, 2012	in Birth Stories, Uncategorized	Comments: 0.